Last week, we announced our weekly giveaway of Hovatek T-shirts, Hoodies and Cufflinks to members and want to thank all our Private Support and Free Support members for participating. The weekly giveaway is for those who have opted to share Hovatek with their friends. Members who subscribe for our Private Support between now and December automatically get one of these branded Hovatek items for free. We ran a 1-week timer to see who will clinch the first win, time is up! Congratulations bro! Please, send us your shipping address and phone number on any of our platforms (privately) and a Representative will get back to you on shipping. If you’ve not yet won then there’s still time. Simply click here to know how to win a Hovatek branded item for yourself. Thank you so much! I’ll wait until then before I put it on then because that’s when you intend to give the gift. I’ll wait till winter. Thank you once again. The Hoodie will be shipped to you in a matter of days. We’ve received your shipping details and are currently processing it. 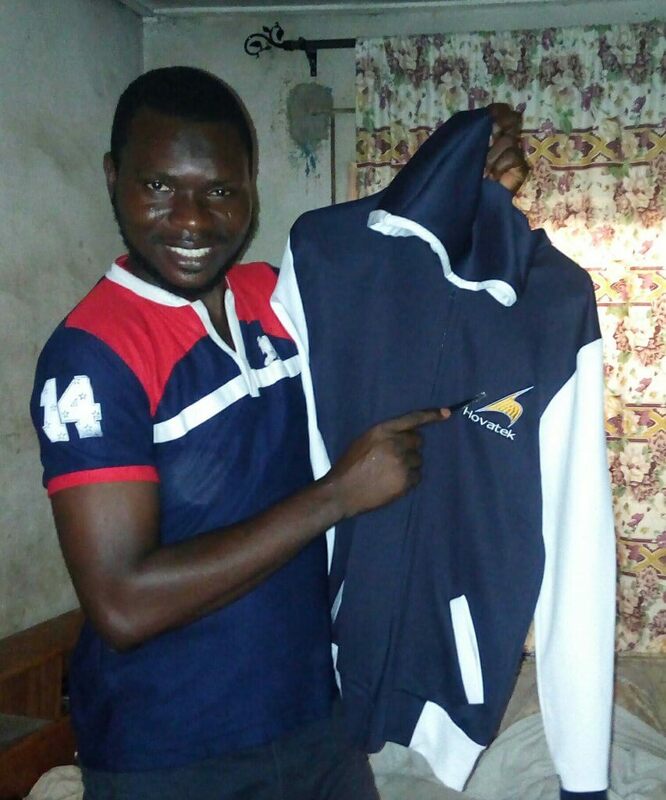 The hoodie received along with a pen… Thank you! ← Custom Hovatek Cufflinks, Hoodies & T-shirts up for grabs!